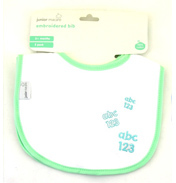 Keep feeding time mess to a minimum with these two 2 Cotton Embroidered Baby Bibs from Junior Macare. Bibs really are an essential item when feeding a baby, unless you really want to change clothing every 4 or so hours. These two bibs come with a wonderful embroidered motif on, ranging form ABC’s to sailing ships, depending on which set you get. Please note: This item is assorted. 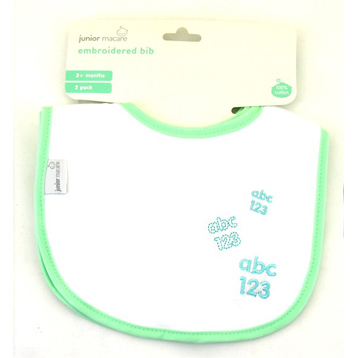 One pack of two bibs supplied. 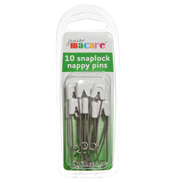 Perfect for babies 3 months plus.